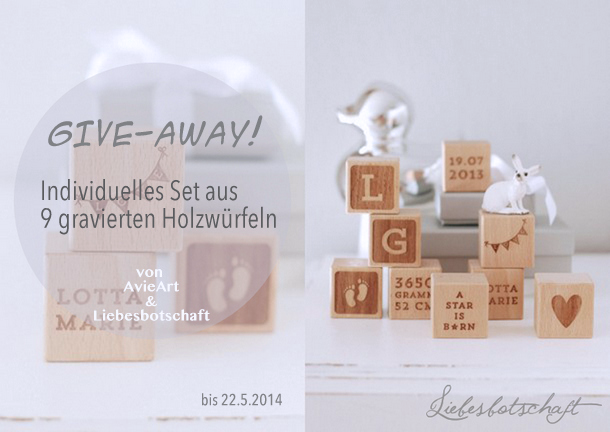 Liebesbotschaft International: Engraved wooden cubes - give-away! Sometimes I really regret that I won’t have loads more babies – what with all the stylish and tasteful things available for the little ones. Your best friend just had a baby? 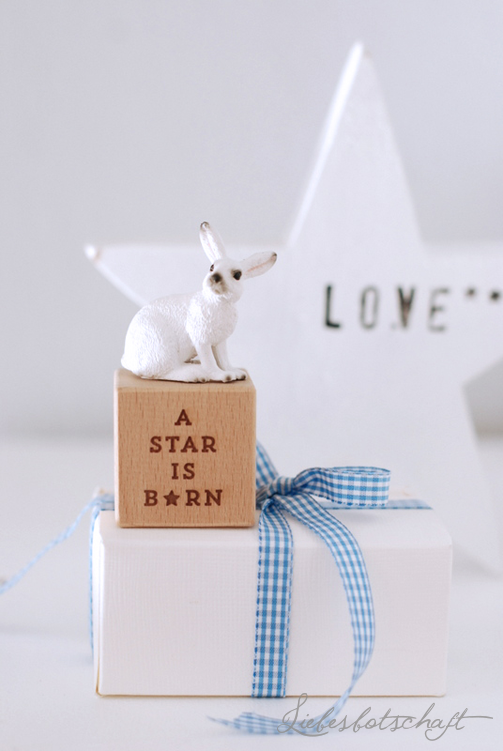 You are looking for unusual decorations for the nursery? 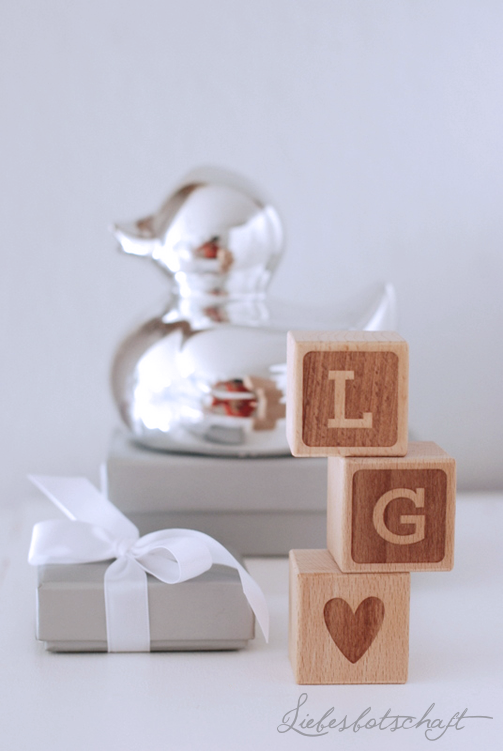 You are invited to a christening and need a classy gift? It has to be unique, of course. And not made of plastic, please. And the kids should also like it. 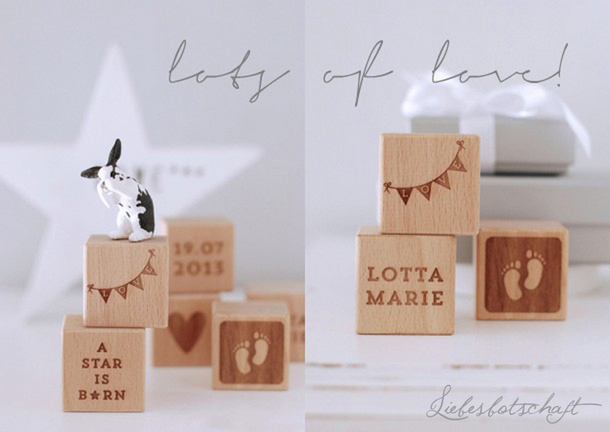 AvieArt carries engraved wooden cubes as cherished unique items. 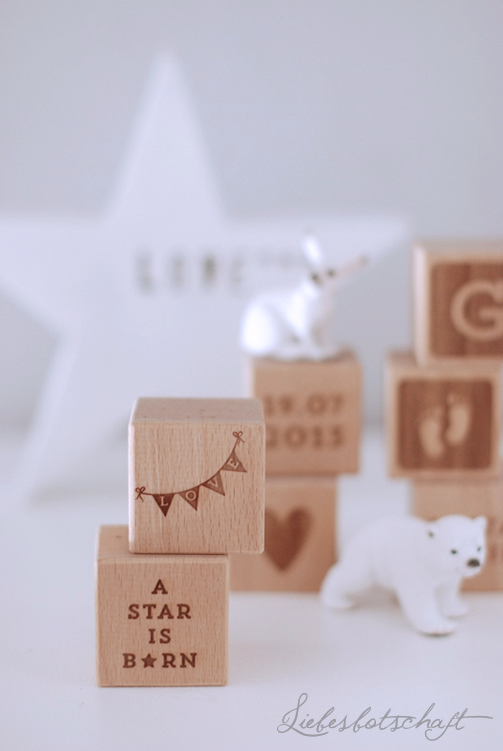 During the first months the cubes decorate the nursery, later towers can be built with them – and the letters can even be strung together into first words! 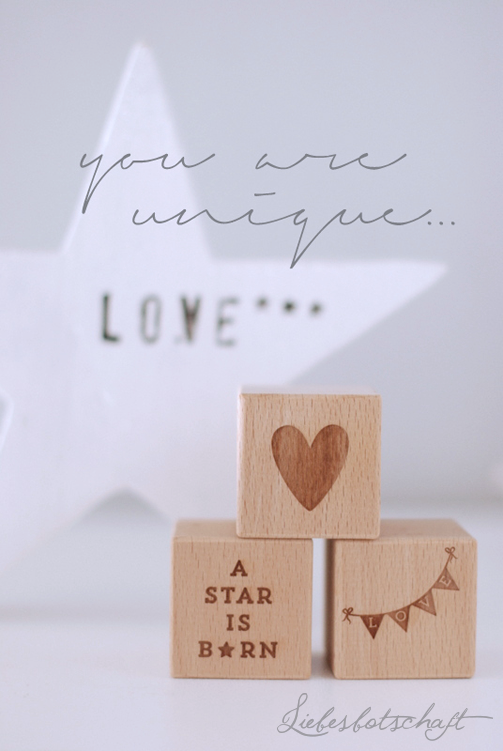 All cubes are made of beech wood, manufactured to a very high standard, they are made in Germany and each cube is individually engraved by AvieArt. 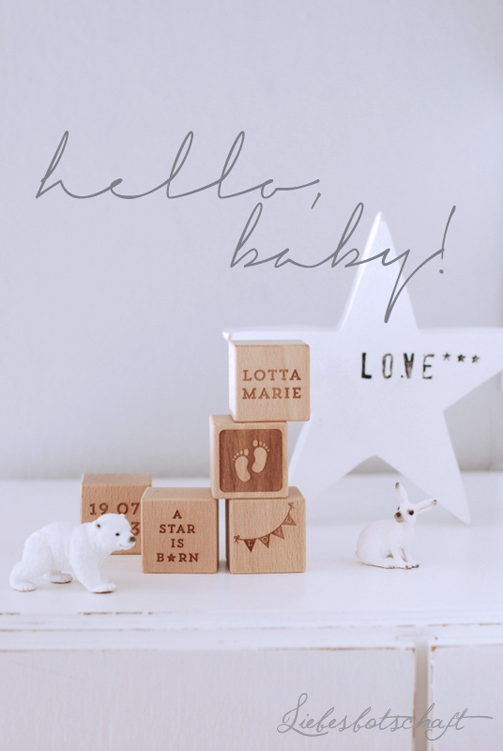 You can personalize the cubes with birth date, name or your favorite text! - 6 cubes with your favorite motives and/or letters + 3 cubes with your favorite text! You can see the complete selection HERE at a glance. 1. Tell me your favorite product in the AvieArt-Shop. The competition starts now and ends on May 22, 2014.
p.s. I will announce the winners of the Räder competition next week!